No matter how hard I crunch the numbers, it looks impossible to get rich by saving ketchup packets. Let's say you are an avid ketchup user and use 10 bottles per year that cost $1.99. 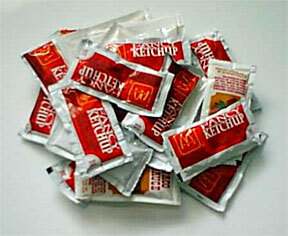 If you hoard ketchup packets from fast-food places, then - voila! - an annual savings of $19.90 will come your way. ... Jackpot! But not so fast. Fast food has its own cost. And chances are, you likely will have a ketchup bottle on hand in case company comes over. Why not keep one ketchup bottle and constantly squeeze the packets into it? The hoity-toity company would never know! However, if that plan happens, I suspect you would have a reaction while squeezing the packets into the bottle, similar to how a hitman must react as he dismembers a body. "What a minute! What the heck am I doing here? Is this really worth it?" Ketchup packets are on my mind because I recently went to Arby's and had roast beef sandwiches. I rediscovered this fact of life: Horsey Sauce packets are the best fast-food condiments in the world. Where would the roast beef sandwich be without Horsey Sauce? I simply would not eat it without that glorious white sauce. Yet here's the problem that keeps me up and night, pacing and nervous: Why doesn't Horsey Sauce work on any other food except Arby's roast beef sandwiches? Man, that is a riddle I simply cannot solve. 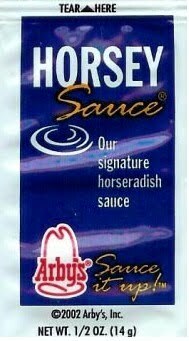 I seriously can think of no better condiment in a packet than Horsey Sauce. 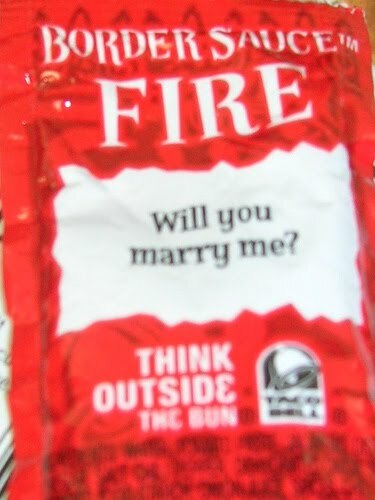 I do respect Taco Bell for attempting to be funny with the sayings it puts on its hot-sauce packets. 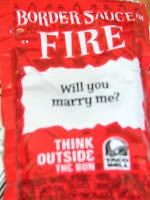 Unfortunately, I have never laughed because of the Taco Bell packets. Without a doubt, you need to look for the nourishment and afterward set it up before placing it in the moderate cooker, yet there are huge amounts of advantages to be picked up.